Perhaps the most popular area for hiking in Western North Carolina, the Pisgah Ranger District is part of the Pisgah National Forest, located southwest of Asheville, NC. Like what you'd expect in a National Park, this district is a large contiguous tract of Federally owned land, and it is filled with scenic roads, backcountry and wilderness areas, geologic, geographic and historic points of interest, and, of course, trails leading to all of these. 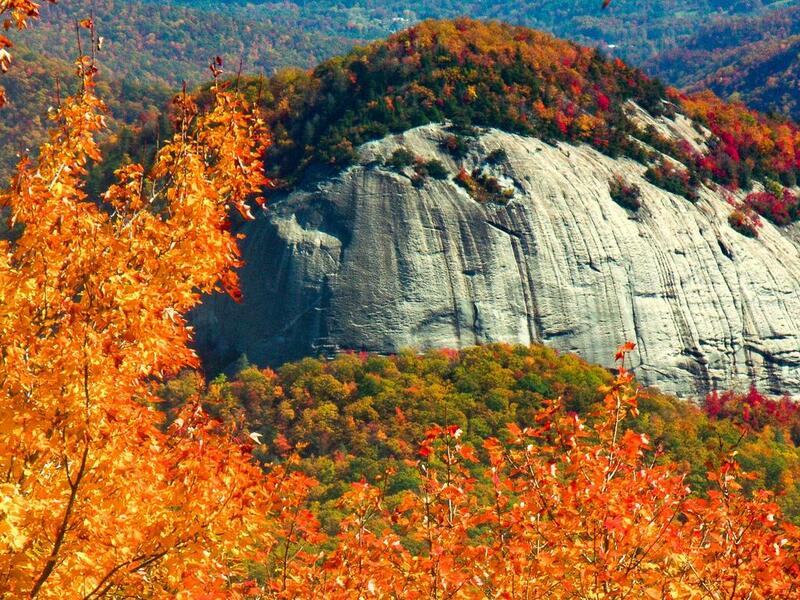 An icon of the Pisgah Ranger District is Looking Glass Rock, seen here in fall. 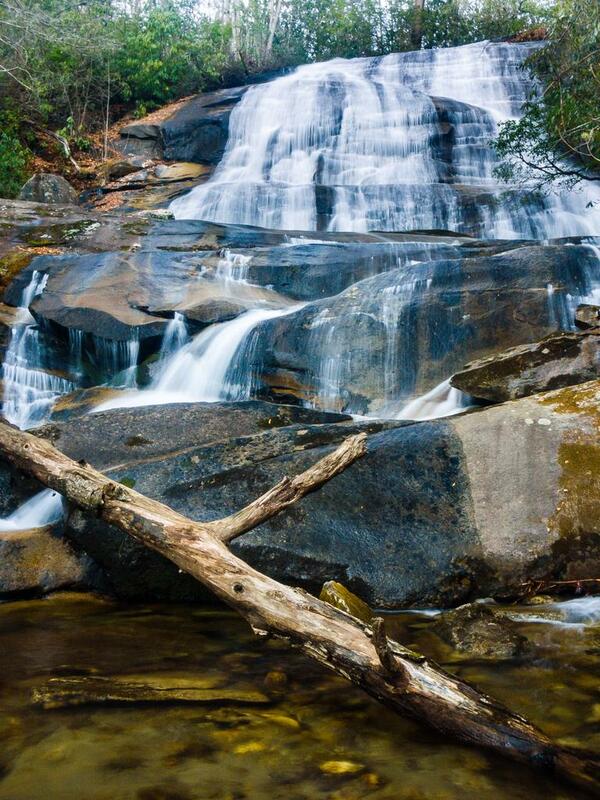 Cove Creek falls, one of many in the Pisgah Ranger District. The district lies on either side of a ridge known as the Pisgah Ledge. The ridge's high point is Mount Pisgah at 5721' in elevation, and it is the mountain for which the entire area is named. (More information about Mount Pisgah and its history). The area around Transylvania County and the town of Brevard - including the Pisgah Ranger District - is often referred to as the "Land of the Waterfalls", and plenty of these you will find. Some excellent hikes leading to waterfalls can be found here. The varied topography, including small river gorges, flat valleys, rounded mountain coves, peaks, cliffs, and rock outcroppings mean there's a hike to something interesting nearby no matter where you are in Pisgah. To break up this huge trail network into manageable chunks for this site, this district is subdivided into the areas listed below, generally separated by natural boundaries such as watersheds or mountaintops. Choose a trailhead in the Pisgah District below for all the information!